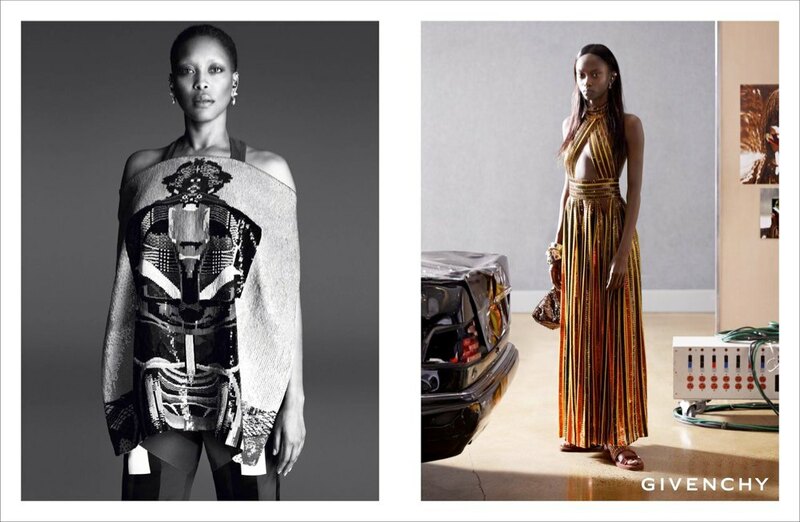 Givenchy's recent campaign with Erykah Badu is my favorite. Sadly they won't be at NYFW this year. Every year, Mercedes-Benz Fashion Week tells us what we’ll be wearing in the seasons to come. People flock to Lincoln Center, being all fancy and whatnot in their top hats n' tails. And while some people actually complained about Alexander Wang doing his show in the Brooklyn Navy Yard, one thing’s for sure--people probably aren't complaining about coming to Broadway for Nyssa Frank's 4th Annual, Bushwick Fashion Night. We're super excited about it! Despite her recent bankruptcy, Betsey’s been around a long time and is somehow still continuing to rock her brand... An original part of Andy Warhol’s underground scene, she knows what it means to be creative, loud, and totally wild. She's also all about that leopard print. I love this naughty vs. nice campaign on her website right now. And fishnets, dark eyeliner, and great bras scream #thatssobushwick. #2 Rag & Bone: Innovative just like Bushwick! Though Rag & Bone isn't known for being colorful; they are known for being innovative. Last year they brought us more of their quality, simple, but totally cutting-edge designs. Anna’s designs have been hailed since she opened her own shop in SoHo. She had very expressive clothes during the grunge era in the 90’s, and her past runway show proved to be just as colorful. Nothing say’s Bushwick like some torn tights and blue hair. Mark & Estel are a fairly recent brand based out of L.A. However, their risky, wild styling and photoshoots remind me of fashion photography I've seen near our very own murals, like The Bushwick Collective. While I'm excited for all the above shows, I feel like I get to see just as amazing clothes every day in my very own neighborhood. So even if you're not making it to Lincoln Center this year to see these cool designers, fret not. High, creative fashion is all around us. Inspiration comes right from our very own Bushwick. What designers are you excited about this year?